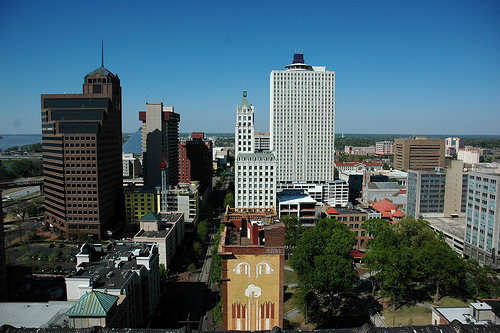 What I find most appealing about Memphis is its lack of pretense. 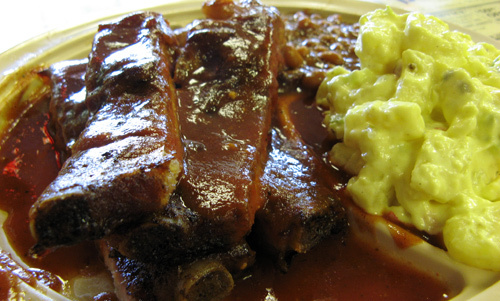 Ribs, a must eat in the city, best portray this character–messy and unrefined, but oh so delicious. I won’t even try to debate the “best” ribs of Memphis. I asked several locals and they all named a few different places. I chose Interstate BBQ and have no complaints. In fact, these ribs have ruined me for life. The meat was so tender I easily licked the bones clean. And the spice blend was tasty, but subtle enough that it didn’t overpower the delicate taste of smoked pork. Perfect, just perfect. 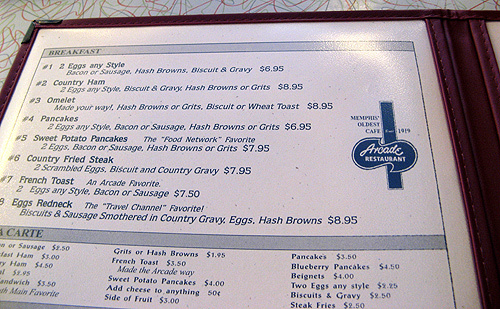 After a walk around the city and a long night’s sleep I woke up hungry for a sweeter taste of the South. 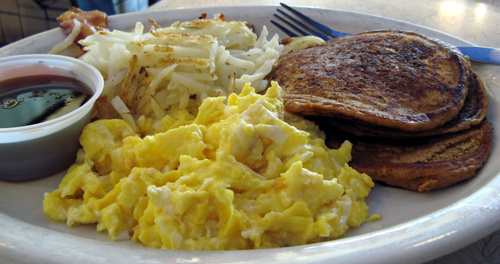 The perfect remedy for my rumbling belly was found at The Arcade Restaurant-the sweet potato pancakes to be exact. Absolutely heavenly. Thick and sweet, a cross between a pancake and sweet potato pie, I absolutely cleared my plate. I hadn’t intended to eat it all, but I simply couldn’t resist.